In light of this information, today's video content and service providers know that to stay competitive, they need to provide an OTT service offering. 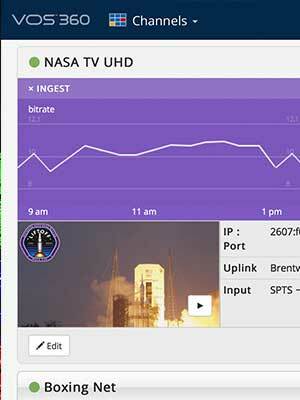 BSkyB offers an OTT alternative to its satellite service, and. ATT&T recently launched DIRECTV Now in the U.S. Both are great examples of traditional service providers entering the OTT environment. The key issue that service providers face when it comes to launching OTT channels is that traditional hardware-based infrastructure is complex and expensive, from a deployment and maintenance perspective. Recently, the cloud has emerged as a viable solution. However, not all cloud solutions are equal. While some media processing solutions claim to be cloud-based, they're actually virtualized appliances with limited scalability and workflow flexibility, making it impossible to launch OTT offerings with speed or make timely enhancements to existing services. This article will explain why cloud-native solutions are better suited for OTT video production and delivery, from a scalability, elasticity and agility standpoint. Cloud-native solutions provide a strong separation between the infrastructure and the application, allowing service providers to use the same processing nodes for multiple applications, such as transcoding, live encoding and origin delivery, based on their needs. With virtualized appliances, one virtual machine (VM) is dedicated to a single task, limiting elasticity. Using a cloud-native solution, one GUI can be used throughout the entire content contribution, processing and delivery process, simplifying video production and distribution workflows compared with traditional infrastructure. Disaster recovery is built in; operators only pay for the data center resources if they are activated. Additional benefits of cloud-native solutions are scalability and speed. Operators can add and remove cloud services immediately. There is no need to wait for infrastructure to be built because it already exists in the cloud. After the video sources and destinations have been defined, and the cloud-native solution handles the entire media processing chain from ingest through delivery, tailoring branding and advertisements based on the distribution method. A new OTT service can be launched in hours, as opposed to being a months-long process with virtualized appliances. Enhancing the user experience, through advanced features like time-shift TV, is instantaneous. With cloud-native solutions, service providers can monetize upon new OTT services and features right away. Advanced cloud-native solutions feature template-based workflows that simplify configuration, deployment and management. There's minimal difference between the broadcast and OTT workflows, enabling a short learning curve for operators wanting to explore the OTT realm. Low cost is another huge advantage of cloud-native solutions. Because service providers can't anticipate how successful their new OTT offering will be, they are often reluctant to invest much upfront. Cloud-native infrastructure solutions have little to no CAPEX and a pay-per-use business model, so they make financial sense for operators looking to enter the OTT market quickly. Virtualized appliances, on the other hand, may require capital expenses in the beginning. They're also more complex and expensive to upgrade as each processing node must be upgraded, one by one. Cloud-native solutions offer video content and services providers the flexibility, scalability and agility that is critical for launching OTT services quickly, with little to no upfront investment. With cloud-native solutions, such as the Harmonic's VOS cloud family, operators can break free of the limitations of traditional hardware-based infrastructure and virtualized appliances, hosting their entire video production and delivery workflow for broadcast and OTT applications via standard IT hardware, over public or private cloud infrastructure. VOS cloud-native encoding and transcoding is powered by the Harmonic PURE Compression Engine, which offers codec independence and industry-leading video quality at the lowest possible bitrates, resulting in an exceptional quality of experience for end users while lowering CDN costs.